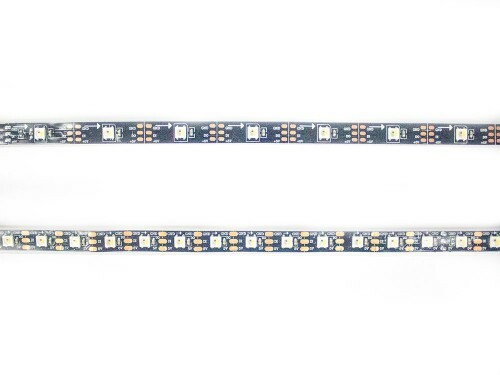 Shine bright with these powerful, fully addressable, SK6812 LEDs strips! Neopixels compatible! 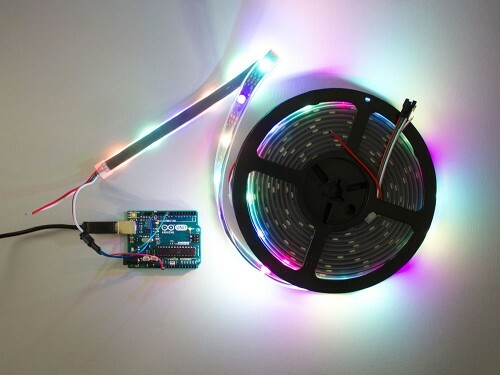 This RGB LED strip is based on SK6812 chipset. Each LED can be individually controlled. 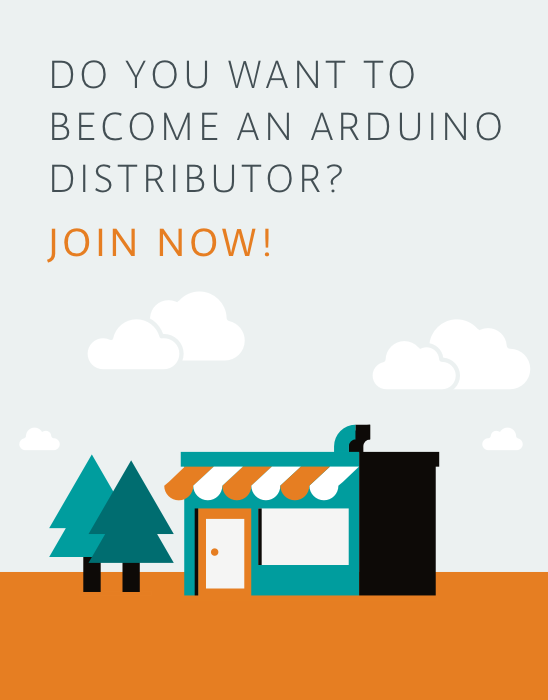 The strip is made out of bare black flexible PCB, and it has a weatherproof enclosure. 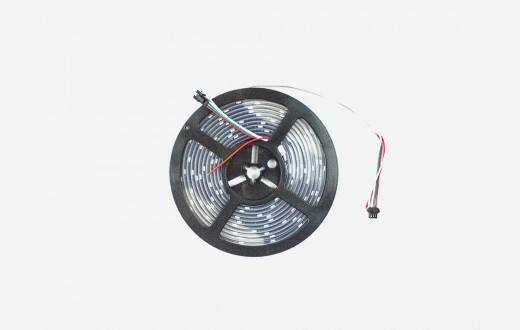 These strips come in 5 meters-long reels with a 3-pin connector soldered on each end, alternatively you can connect multiple strips together, according to your needs. You can easily cut the strip with scissors or wire cutters along the cut-lines every 1 LED. These strips are compatible with Adafruit's Neopixels library.